The following is a list of classes that were offered by the guild during the 2016-2017 guild year. 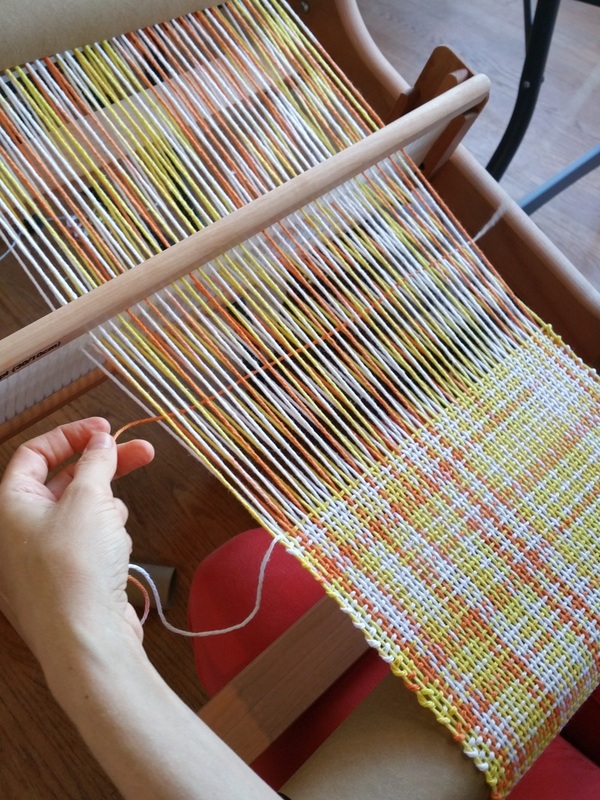 This 4-hour class will go over the basics of learning to weave on the rigid heddle loom. 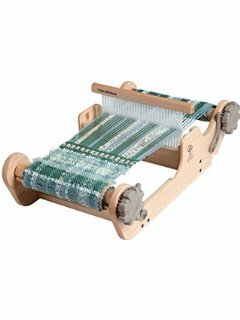 You will learn weaving terms, how to calculate a warp and plan a project, how to warp the rigid heddle loom using the direct warping method, the proper way to wind a stick shuttle and basic finishing for scarves. 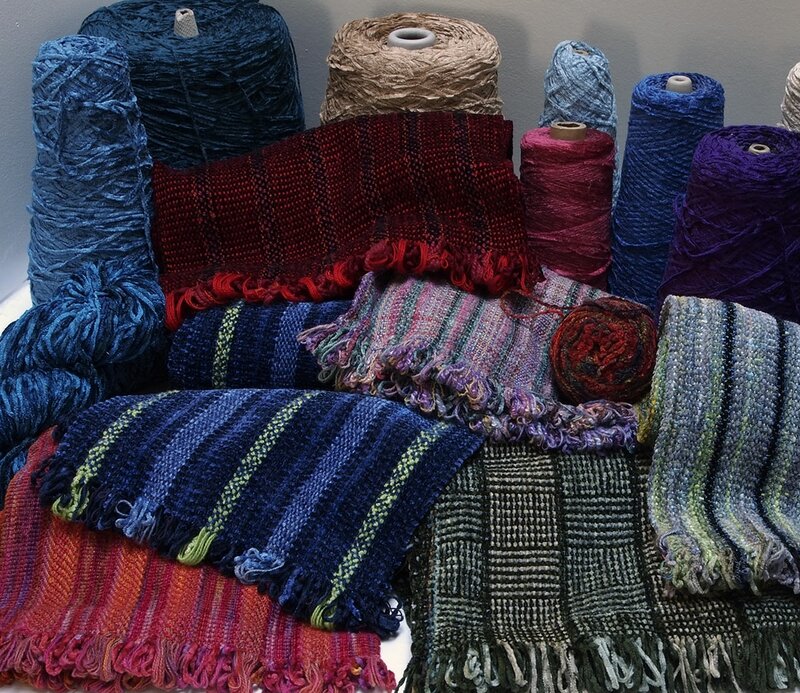 The class will meet at TFAC for 8 months from September through May on the third Wednesday of the month from 1-3 pm The concentration will be on weaving with color, making decisions about color choices and experimenting with color. There will be reading, extensive color study homework and 3 weaving assignments. Class fee is $50 to be collected the first day of the class. Class will be limited to 8 students. Color Play Second Edition by Joen Wolfrom (make sure it is the second edition), and a 3 –in-1 Color Tool (the third edition) by Joen Wolfrom. These both should be available at quilt stores. 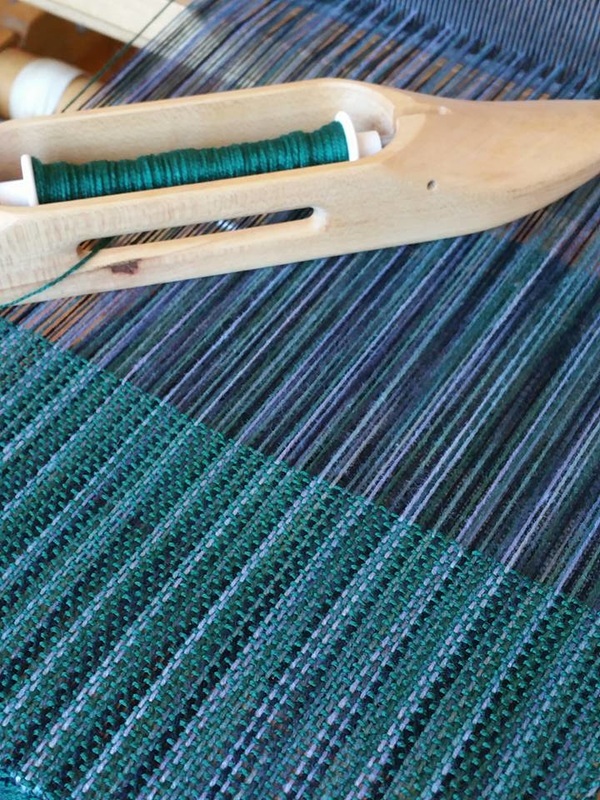 Add unique color to your weaving projects with warp painting. 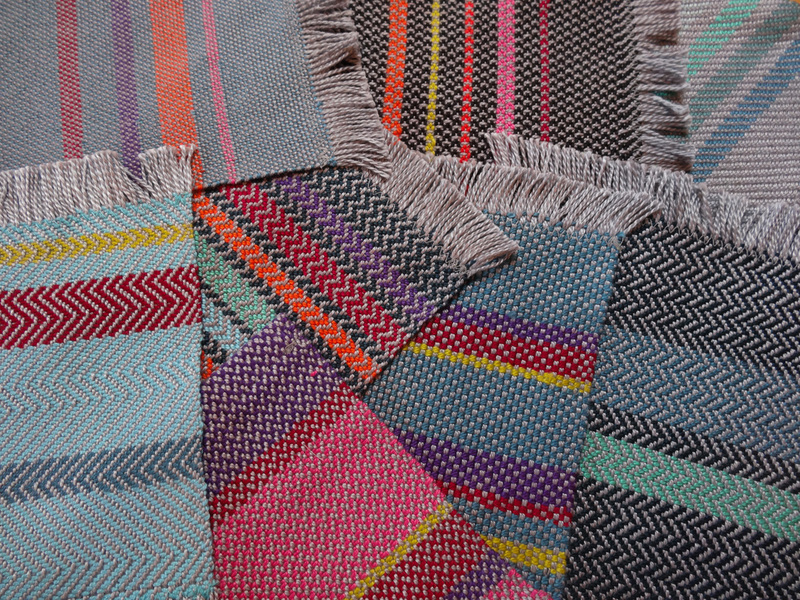 Blend and overlap colors to create your one of a kind palette on scarves, linens or yardage. Each one-day workshop will include a brief discussion of color theory, dye safety and color mixing, considerations for dyeing scarves or other projects, and finally warp painting. 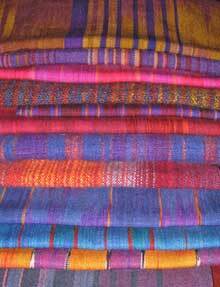 Bring two prepared warps 3 yards or shorter (cotton, linen, tencel, bamboo, or silk) and willingness to experiment. 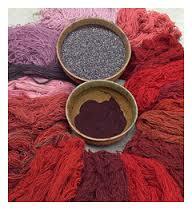 Details about preparing warps will be provided before the workshop. This class will cover all the basics as you learn to weave. You will choose your colors, and weave a scarf using Dragon Tales Rayon Yarn. 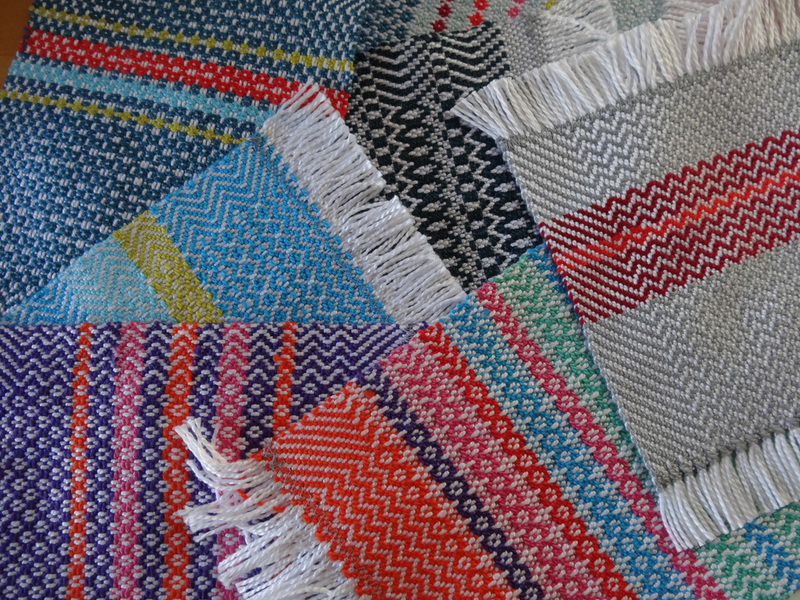 After this class you will know how to: plan your project, read a draft, wind a warp, dress the loom, weave and finish a scarf! Student should bring: Paper and pen for notes. ​Materials: The guild will provide 4-shaft direct tie-up looms with 5/2 cotton yarns. 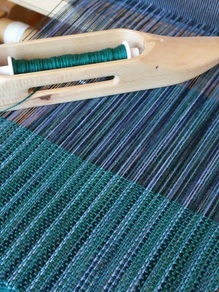 For the student who completes the first project quickly and is able to spend some independent time weaving during the TFAC drop in hours on Tuesday and Saturday afternoons, there may be an opportunity to put on a second warp with a different threading for either small cotton napkins or more mats or samples. This would be a great way to reinforce what you learned during the first half of the class. ​Sara Lamb lectures and gives workshops in the US, Canada, Australia and England. She maintains a working studio in Northern California, where she lives with her husband, looms, spinning wheels, dyepots and beads. For 20,000 years, weavers have made cloth with handspun yarns and you can, too. With expertise and enthusiasm, Sara Lamb will show the joy and satisfaction of spinning handspun yarns for weaving. 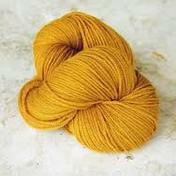 Learn to create luxurious handspun yarn for weaving. How does spinning yarn for weaving differ from spinning yarns for knitting, crochet, or embroidery? We will spin and sample for weaving, varying fiber choice, twist, grist and color. We will discuss ways the yarns are affected by weaving techniques and the way weaving techniques are affected by the yarns. Although there will be no weaving by participants during the workshop, Sara will set up a warp and will test some setts and weave a few samples as a demonstration for future work. Participants must be able to spin a continuous yarn (this is not a beginning spinning class). 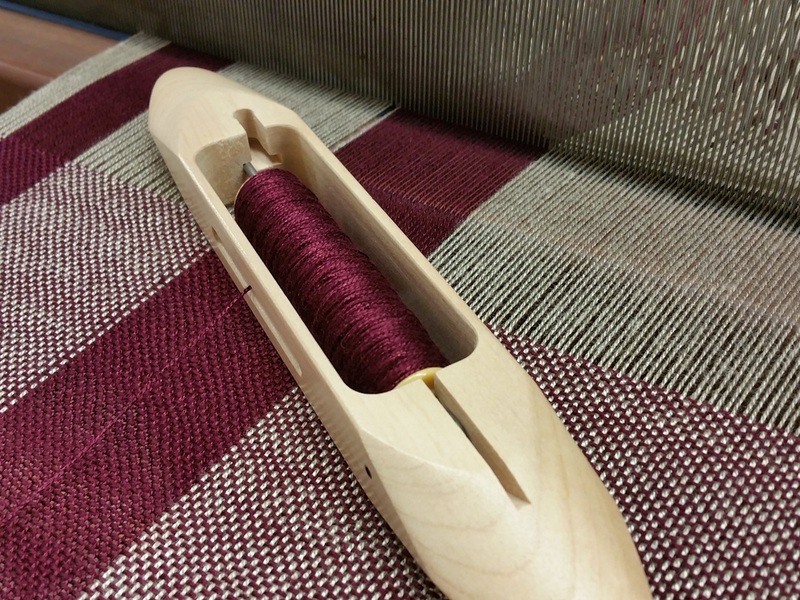 New and beginning weavers are encouraged, no weaving experience necessary. Please bring your own spinning wheel and your own fibers. The workshop is about how to use rayon chenille (1450 yd/lb only), designing and working with it. Each person will design his/her own sampler for the assigned loom using the drafts provided. Participants must be comfortable warping, setting up a loom and weaving independently. In the first session we will discuss working with chenille and the various options it provides, talk about design, do wraps and wind a 3-yard warp. In session two, we will finish warping the looms using various drafts and weave samples which will be wet finished at home. At the third session we will share samples (which will have been wet finished at home) and discuss the results. Participants will retie the looms and weave samples on each of the other looms on their own time. Note: Although the class time for sessions two and three is only three hours, participants will have the afternoon until 4PM for continuing to weave their samples. Optional Meeting: Saturday, April 22 10-AM- 12 PM If the group decides to, we will place a group chenille order and meet to discuss individual projects, provide help with planning and designing a project and answer any questions. This class is now filled and registration is closed. Natural Color to Dye For! 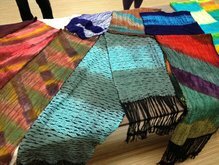 Participants will also receive 2 scarves (1 silk, 1 rayon) for dyeing/overdyeing using clamps and folding techniques to compare plant and animal results. 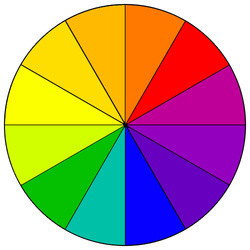 Sources for dyes, fixatives and equipment will be included. A complete list of natural dyes, with colors and fixatives along with a bibliography will be part of class handouts. Materials the participant should bring: full front apron and rubber gloves. Wear old clothes and shoes that can be “dyed” from accidents. Woven Shibori is a variation on traditional shibori dyeing in that it is dependent on the weaving process to create dyed patterns in hand-woven cloth. 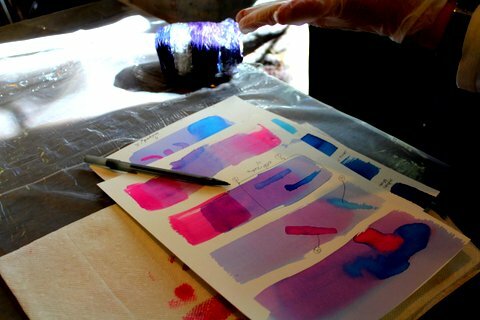 In this class, we will explore a two-step dye process resulting in virtually unlimited color and pattern interactions. The objective is to create as many samples as possible. Participants will weave samples, prepare them for dyeing, and go through both a first dye and overdyeing process with their samples. Participants will be provided drafts to create samples at home in addition there will be a few pre-warped looms at TFAC. 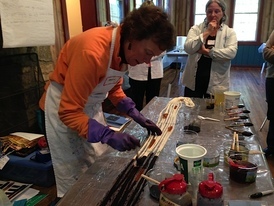 At the conclusion, participants will have the skills to create a woven shibori project on their own. Participant Requirements: Participants should be able to warp and weave on a 4-8 harness loom. They will need to weave samples between Class 1 and 2 either at home or at TFAC. If they weave at TFAC, they will need to be prepared to cut off their samples and scour the samples in preparation for dyeing and for retying the TFAC loom used.